We invite you to browse through our store and shop with confidence. Use the link for Duelpolymer to place your order and use my code porboy for a 20% discount. If you try calling(618-553-6220) and I don't answer PLEASE leave a message. I work a full time job and can't answer the phone when I am there. I will get back to you as soon as possible. I still have the Masonic Vinyl decals if you are looking for them. 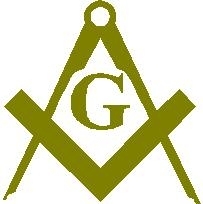 Just send me a email at loren@porboy.com Masonic taillight decals for $4.50 a pair. Ask about our discount for 10 or more pairs. When you use Dualpolymer Waterless Carwash if you have heavy mud, sand and salt buildup on your vehicle, this product alone can’t do the entire job. Rinsing off heavy buildup is needed before using this product. Regular road film, bug residue and dust are no problem. Everytime you use waterless technology to clean and protect your vehicle verses water based cleaning you save 150 gallons or more of drinking water and eliminate the damage. This is the only product that I will use on my classic Mustang. Use my code "porboy" to get 20% off your order.